Significantly, we’re first reminded that we are about to commemorate the triumph of Christ our king. We do this through the blessing of palms, the procession, the joyful singing and the celebrant’s wearing of red vestments. We need to keep this in mind as we proceed in the second half to hear the long tale of the sufferings and humiliations to which Jesus was subjected. Very soon it will be difficult to recognize our king in the battered, scourged, crowned with thorns, crucified remnant of a human being. The Gospel gives us an account of the Passion of the Lord, from the Last Supper up to his death on the cross and burial in a borrowed tomb. The narrative places before us various events and the sufferings he endured. We have the institution of the Eucharist, where he shares himself with his disciples and tells them to memorialize him in this way. We hear of the betrayal of Judas, the foretelling of Peter’s denial, Jesus praying in Gethsemane and of his arrest. Then the appearance of Jesus before the high priest, Peter’s denial, Jesus before Pilate, the death of Judas, and Pilate questioning Jesus about his teaching and his kingship. The people are given a choice of saving Barabbas or Jesus, and we hear how a criminal is preferred over a just man. Pilate finally hands over Jesus to be crucified. The soldiers take him, beat him and mock him. There is the cruel way of the cross where Jesus carries it through the crowds to be mocked and insulted. His own disciples leave him. On Golgotha, between two thieves, he is nailed to the cross, where he dies and then is laid in a tomb. We can all imagine ourselves in those personalities mentioned in the Gospel narrative. Sometimes we behave like Peter, who denied his master; sometimes like Judas Iscariot, who betrayed him. We may find ourselves behaving like Pilate, who unjustly condemned Jesus to death. Often, we find ourselves behaving like the Jews, who shouted “Hosanna, Son of David!” just days before shouting “Crucify him!” and asking for the release of a criminal. Through our sins, we nail Jesus on the cross and insult the Son of God. As we prepare ourselves for the events of our salvation, let us resolve to be like the thief and Simon Peter, who realized their mistakes and repented. When we repent, we shall be able to sing “Alleluia!” together with the triumphant Church at the resurrection of our Lord. Deacon Kirembwe is in formation for the priesthood at the St. Paul Seminary for the Archdiocese of Kampala, Uganda. His home parish is Our Lady of Help in Kkonge. His teaching parish is Holy Spirit in St. Paul. 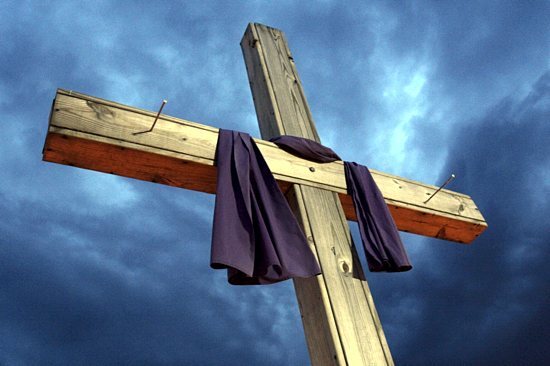 How will you commemorate Christ’s suffering, death and resurrection this Easter and throughout the year?